A tour designed for both visitors and locals, families and individuals, seeking an urban arts experience. Allow us to lead you through the enchanting streets and landmarks of Downtown Los Angeles and various parts of the city lined with magical artsy spaces. Meet a few artists, locals, and learn the insider history and facts about the DTLA neighborhood. Meet your guide at the Grand Central Market, and then set off on your 2-hour walking tour to explore the murals, artist studios, museums, and cultural landmarks in the area. Class, grit, and urban rich culture surround this area. 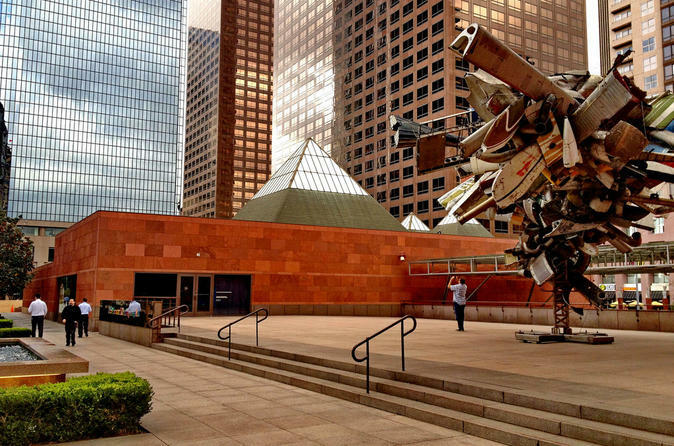 As you walk, your guide will point out examples of why there's a real renaissance occurring in Downtown Los Angeles. You'll stop on the Angel's Flight to get a beautiful view of the Downtown Landscape, including the glamorous Grand Performances stage. We'll point out activities you can enjoy including the close by exhibitions at Museums like MOCA, and The Broad Museum, and Walt Disney Concert Hall before heading back down and venturing back into street life. We'll next head to Pershing Square Park, a quiet pedestrian park where we'll see the latest mural that's being completed. We'll then head to view artist studios in the Last Bookstore, a funky venue with an eclectic vibe of art and literature. We'll meet some of the artists who studios are there and see how they do what they do. We'll then head around the corner to the Main Museum, a new museum dedicated to local artists and exhibitions. We'll finish off at a local dessert shop called peddlers creamery, a sustainable-minded ice cream and sorbet churned with stationary bikes – the best homemade ice cream in Downtown!